A gray wolf that was moved from Minnesota to Isle Royale National Park in an effort to restore the park’s wolf population has found her way home again. The female wolf walked more than 15 miles across frozen Lake Superior to reach her home turf, officials said Wednesday. 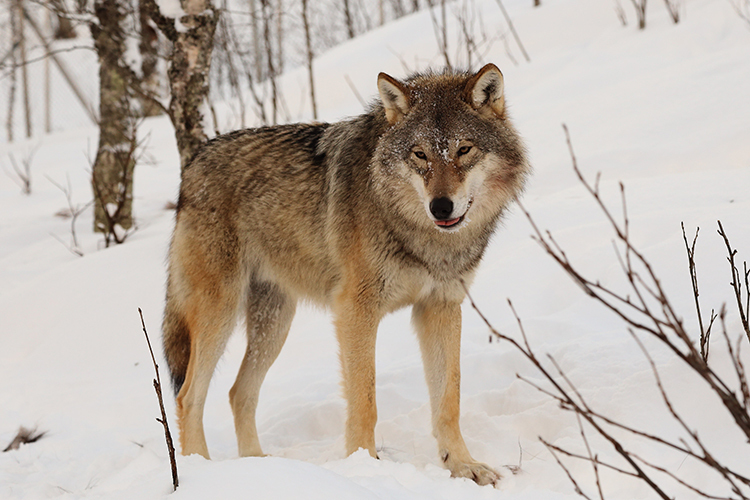 The wolf was one of four relocated from the Grand Portage Band of Lake Superior Chippewa reservation in September and October. The National Park Service hopes to move between 20 and 30 wolves into Isle Royale in the coming years. In addition to boosting population numbers, wolves are needed to keep the park’s moose population in check. Officials did not say if the runaway wolf would be returned to Isle Royale.